Online content marketing has become the lifeblood of merchants, salesman, and peddlers of all kinds. Content is King, and you know that because a content marketer told you so. By now, every content marketer knows that high quality and persuasive content is not only a critical component of a website, but it is also a key element of any marketing strategy as a whole. So we sit down, draft content for our businesses and various other endeavors and we do our damnedest to make it persuasive. We research SEO keywords, consult trending news, and try to kill them softly with our song. But sometimes, a content marketing strategy goes terribly, horribly wrong. It all comes down to bad strategy. 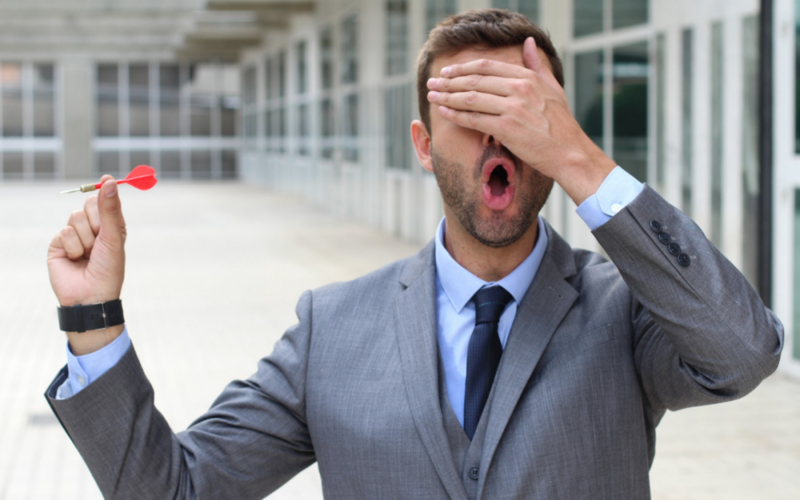 Using bad content marketing strategy can get you blacklisted from social media sites. It can make milk go bad overnight. And it can get you killed. Seriously. Poverty is dangerous. So don’t say you weren’t warned. So, now that you’re properly motivated to learn, here are Four Marketing Strategies that Always Fail. Assuming that your audience knows and understands what you do is a pretty basic mistake. It’s something that mega-brands do a lot because they know they can get away with it and because they seem to think it’s cute. It isn’t. You’ve seen those soap commercials where a bunch of nonsensical mood sequences are passed off as an argument. You’re thinking, ‘what the hell am I looking at?’ Then at the end, the word Dove appears on some lady’s bath towel and you realize you’ve just been manipulated into paying more attention than you normally would. Dove can pull it off because there’s no way you don’t know who they are and what they sell. But the rest of us need to make things clear from the outset. Pretend the reader knows nothing every time you set your fingers to the keys. This works because there are only three types of people who read your content; those who are already interested in your product or service, those will be interested but don’t know it yet, and people who are there accidentally and are going to bug off no matter what you do. So spell it out. You know you want to. There are some exceptions to this rule, but most of the time, talking only about yourself is a freaking mistake. It’s boorish, it’s boring, and it makes you look like a jackass. If you’re a consultant, a commentator, a lawyer, or a prognosticator, then it might make sense to talk about your successes and explain how smart you are. But you have to prove it. In other words, you’re not talking about yourself as much as you are promoting your product expertise. But if you’re an appliance outlet and you go on and on about how you had to struggle to build your business from the ground up and that you are super ethical and never overcharge for repair service–well guess what honey-cakes–you’re boring me. Make a persuasive argument for the superiority of your product or service and get off my lawn. People’s attention spans are shorter than ever. The number one thing the average person wants when reading anything is an excuse to stop reading. They are afraid of being called lazy and feel compelled to say they read the whole article, blog, book- whatever. But if you give them a raisin to say that it wasn’t worth their time- they will quit and go pretend to read something else. Now, it is childish, but if you make a grammatical mistake, make spelling errors, employ an offensive comma or whatever–not only will they turn you off and delete your bookmark–but they will actively mock you online and with their friends. That’s why you’ve got to proofread and run your work through at least two automated grammar and spelling checkers. No two brains are made the same. Some people are good at math or spatial relations. Some people are whiz-bang at crafting linguistic gold. When it comes to math above grade level 5, I’m useless. I’m practically mentally disabled when it comes to algebra- which sounds like moss in someone’s underwear to me. Algae-bra. It’s gross. But I can string a few sentences together. If you lack linguistic fluency–writing your content yourself is a big, fat, hairy mistake. The worst thing you can do is think you’re a good writer and not be. You will alienate your audience faster than your in-laws can move into your basement for the winter. Worse yet, use a ton of industry jargon that your audience won’t understand, and you might as well hand your dinner to the competition. I like Mexican. No more of this, please. It’s time to EVOLVE. Join us for Content Marketing Conference April 16-19, 2019 and learn how to make and implement strategies that win!